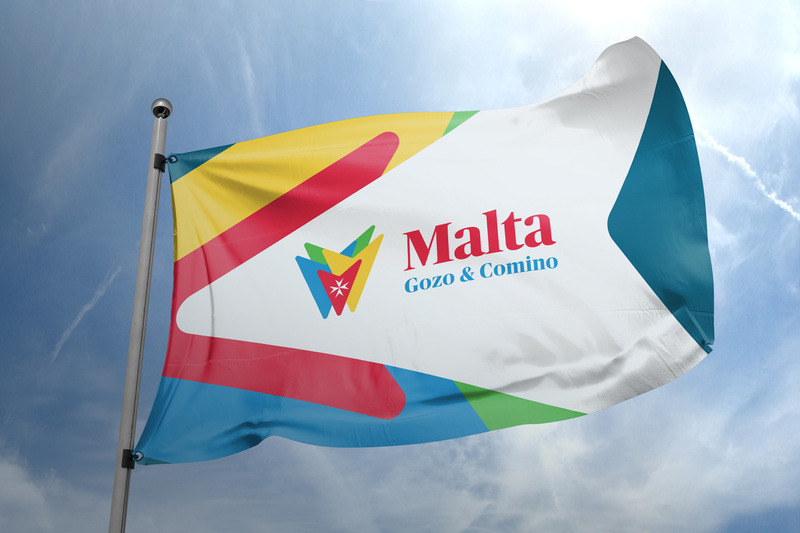 The design is based on the Maltese Cross, Malta's civil ensign. 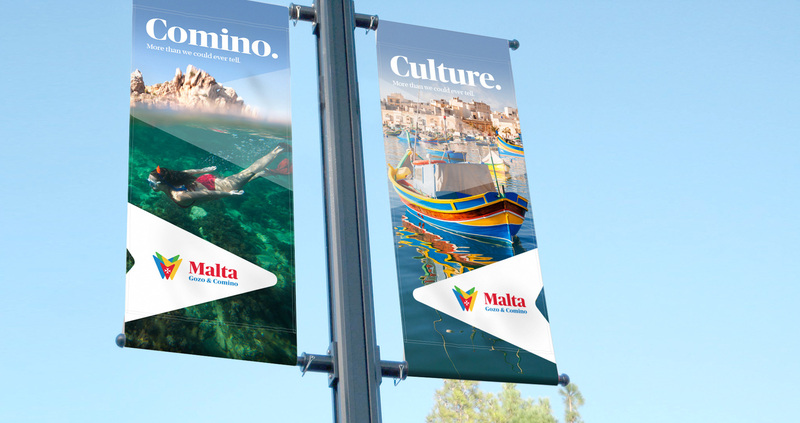 To each arm of the stylized cross we’ve applied one of the colours from the traditional Luzzu [a traditional fishing boat from the Maltese islands] – red, yellow, blue and green – which also represent sun, sand, sea and land; All common elements which funnel down into 3 points, each representative of Gozo, Malta & Comino. The fluid movement that’s there when these elements are combined visually suggests people coming together to enjoy the life and the beautiful scenery of the archipelago. 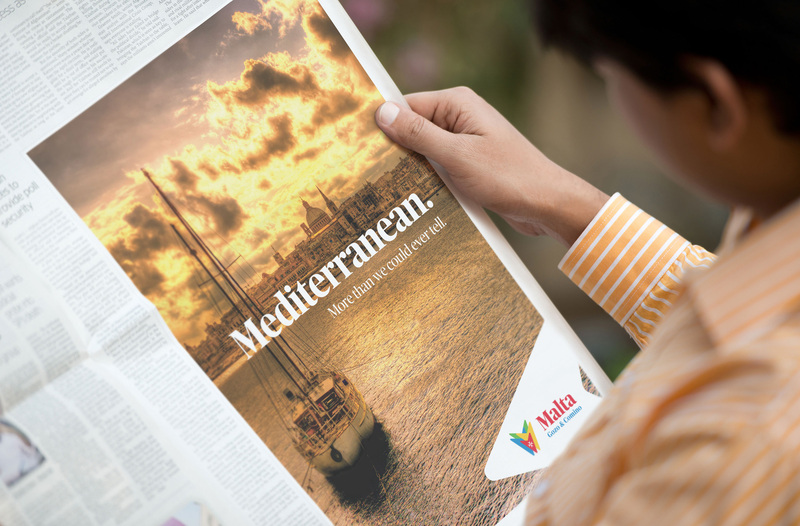 Each of the three islands can be assigned a colour, with red always at the centre, representing the country’s flag and Malta’s place at the heart of the Mediterranean. 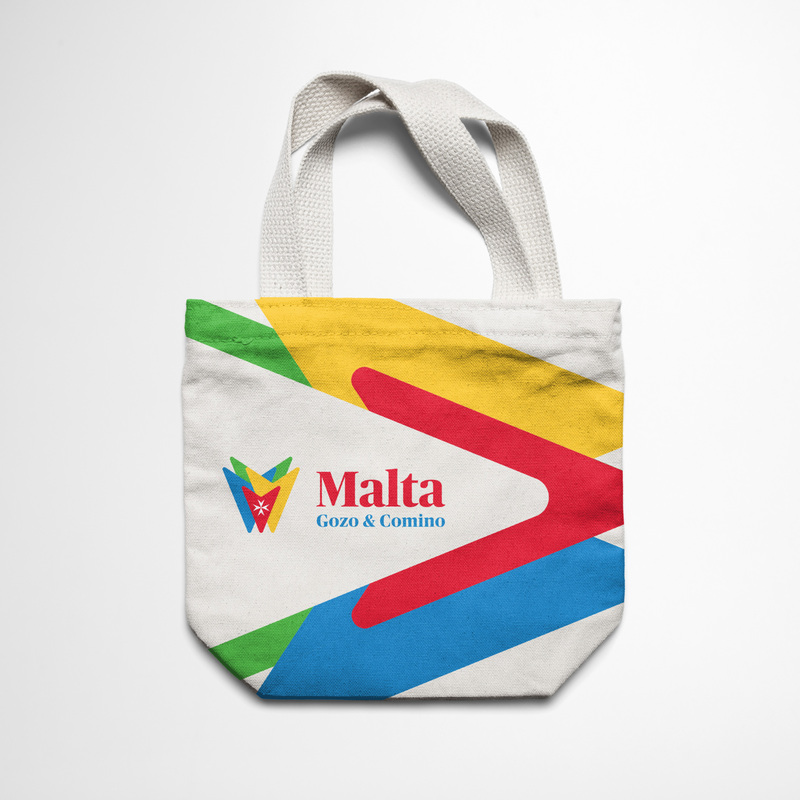 Importantly, this new identity is symmetrical, a distinguishing feature of the Maltese Cross it’s based on. The old logo was off-putting with its ugly scratchy font, non-matching scratchy squiggles, and poorly contrasting use of Helvetica and the Maltese Cross. One positive thing to say about it, perhaps, is that it had a laissez-faire attitude and simply looked like a fun, relaxed place to visit. 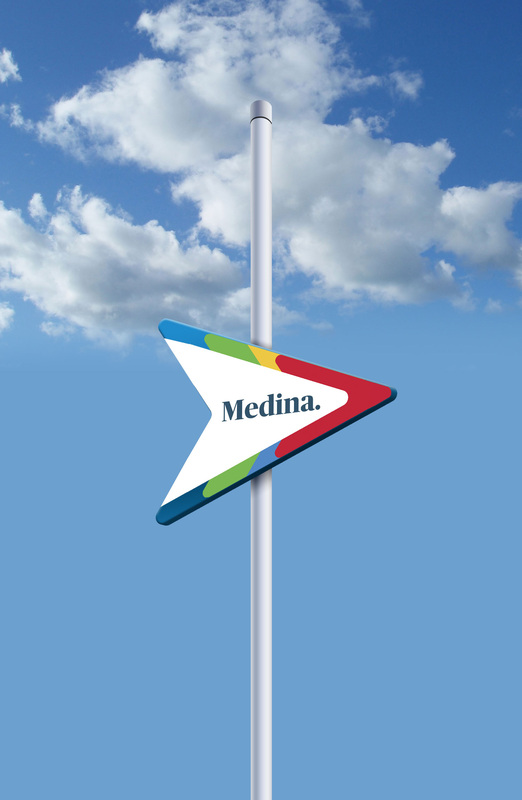 The new logo is a lot more buttoned up and perhaps less vacation-y but it establishes a more official presence for the tourism board and as an entity to take a little more seriously. The icon takes the four v-shaped elements of the cross and rearranges them in a group formation. It’s not exactly cool or fun but it makes for a decent icon that stands out because of its amount of color and arrow-ness. The wordmark is a little flat but it’s fine. 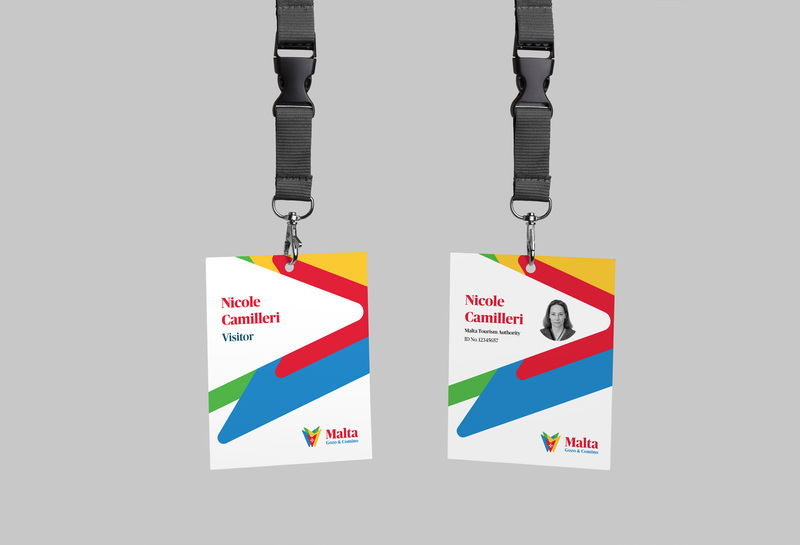 The applications start to feel too corporate, almost more like a big conference event than a beautiful destination in the Mediterranean. Come to think of it, this feels better positioned as a government identity than a tourism identity. Maybe that scratchy font had it right all along. \"The Maltese archipelago lies virtually at the centre of the Mediterranean, 93 km south of Sicily and 288 km north of Africa. 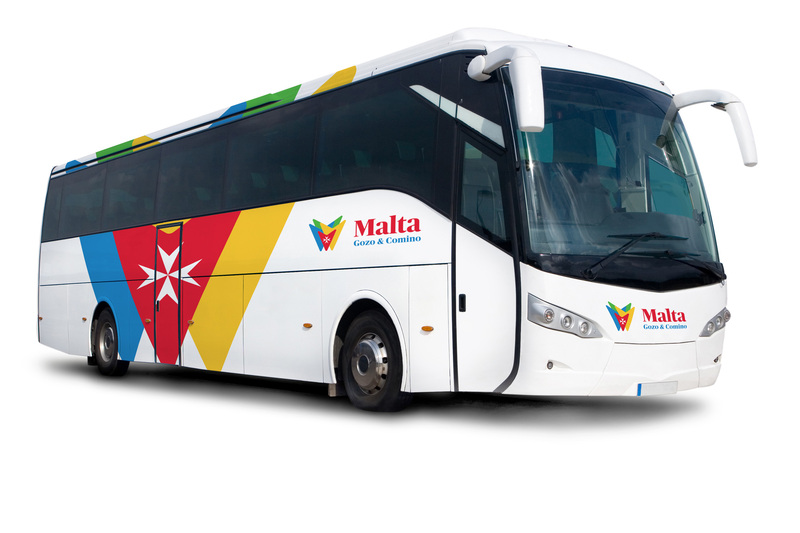 The archipelago consists of three islands: Malta, Gozo and Comino with a total population of over 400,000 inhabitants occupying an area of 316 square kilometers. 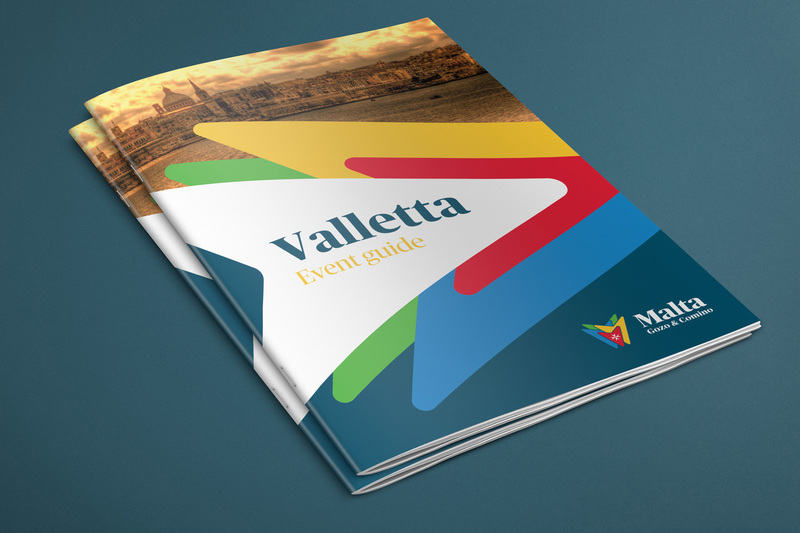 Malta is the largest island and the cultural, commercial and administrative centre. 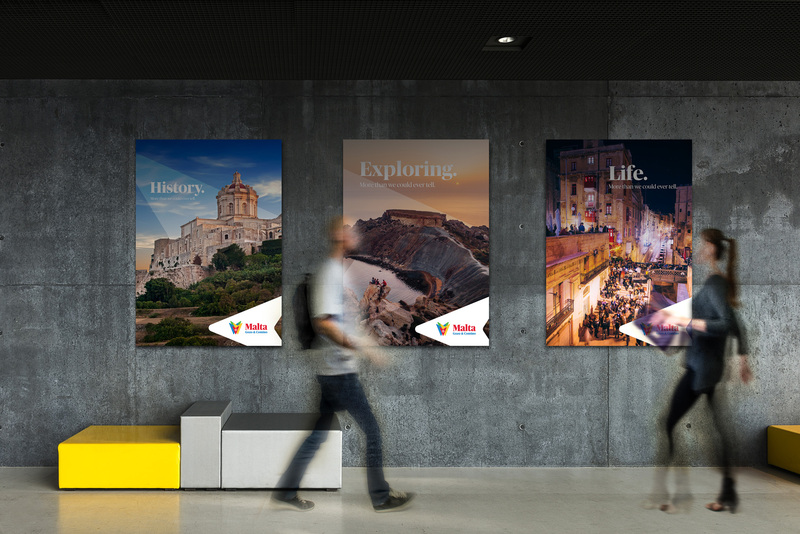 Gozo is the second largest island and is more rural, characterised by fishing, tourism, crafts and agriculture. Comino, the smallest of the trio, has one hotel and is largely uninhabited. With superbly sunny weather, attractive beaches, a thriving nightlife and 7,000 years of intriguing history, there is a great deal to see and do.\"